Sometimes you are flexible in terms of where you wish to travel, yet you would like to satisfy certain vacation cravings – whether it is to completely relax and unwind in a secluded destination, or to experience something breathtaking so that friends and family back home would be fascinated with your tale. Sparkling Voyages has created the “Sparkling Experiences” program, where travelers can choose one of the suggested packages for each desired experience, with the choice of carefully selected properties based on numerousreviews and ratings. For each package, travelers will enjoy the ‘sparkling’ amenities and luxurious offerings, ranging from private airport pick-ups and special inclusions to the most upscale hotel choices. Sparkling Voyages has put together a program especially for golf lovers who would like to have a terrific vacation in one of the favourite destinations and stay at a resort that is recognized for having remarkable golf courses. Half Moon’s golf course has been welcoming golfers of various levels for more than 40 years by offering undulating greens, challenging drives, demanding holes and exceptional views. Named the Best Caribbean Golf Resort by Caribbean World Magazine and 2009 Golf Resort of the Year (Rest of World) by the International Association of Golf Tour Operators, the Half Moon Par-72 Golf Course was designed by renowned course architect Robert Trent Jones and is definitely worth to be experienced. Designed by golf great Greg Norman, the course at Fairmont Mayakoba is over 7,000 yards (6,400 meters) of pure pleasure, and features up ever-changing challenges and alluring vistas: fairways lined with sand dunes and mangroves, unique hazards such as subterranean caves and crystal-clear lagoons, and green landscapesresting on the edge of the Caribbean Sea. Designed by Jack Nicklaus, The Challenge at Manele is an outstanding golf course set high above the crashing surf of Hulopo'e Bay. Built on lava outcroppings, the course features three holes on cliffs, which use the Pacific Ocean as a water hazard. The five-tee concept challenges the best golfers – tee shots over natural gorges and ravines must be precise. The Makai Golf Course at Princeville at Hanalei offers great time for everyone – from golfers wishing to elevate their game on plush emerald greens to those who like to enjoy the stunning natural vistas while perfecting their swings. Here guests can appreciate one of three 9-hole courses designed by master golf course architect Robert Trent Jones, Jr. , named by Golf Digest one of "America's Top 100 Golf Courses." Conveniently located 10 minutes from the hotel, The White Witch Golf Course is carved out of 600 acres of rich greenery and rolling countryside that features panoramic views of the Caribbean Sea from 16 of its 18 holes. 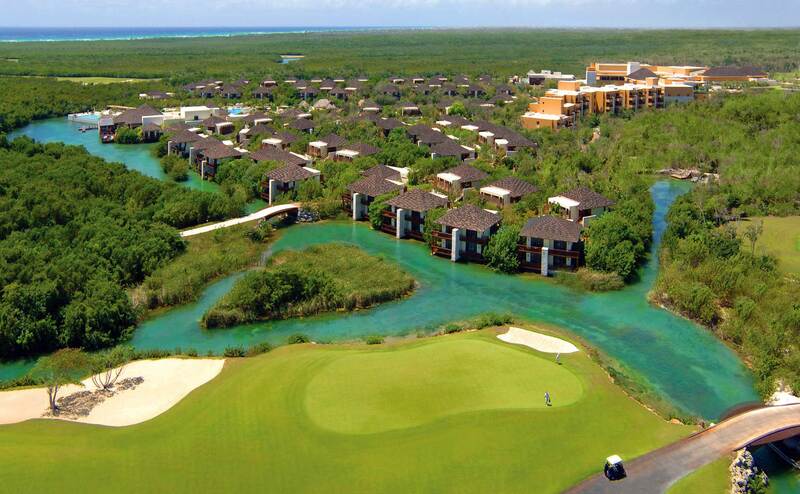 The resort area also includes additional championship courses providing a total of 54 holes of golf.